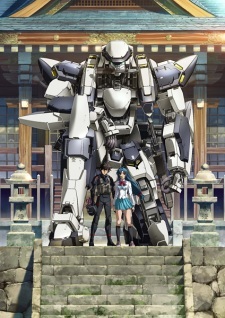 The "Full Metal Panic!! Special Mission" live broadcast has announced additional cast members for upcoming Full Metal Panic! Invisible Victory TV anime on Monday, as well as revealing a new PV. The PV features the song "Even...if" by Tamaru Yamada, which is not determined if it will be the theme song or the image song. The TV anime produced by studio Xebec is slated for Spring 2018 via Tokyo MX. The stream also revealed that Full Metal Panic! Movie 3: Into the Blue will be broadcast via AT-X on February 11 from 7:00 p.m. to 9:00 p.m. The second movie One Night Stand will also be available on dAnime Store between January 29 and February 5. Note: PV via YouTube will be updated when it is available. The official announced that PV that shown via streaming today will be revealed in the near future (not today). https://twitter.com/fullmeta_iv/status/955423552538374144 New PV has officially uploaded on Kadokawa channel on February 5. "Even...if" by Tamaru Yamada, which was used in PV, Will be OP while "yes" (also by Tamaru Yamada) will be ED. The CGI still looks not that good. I guess that's the best Xebec could do with CGI. The animation quality or the visual style? The mecha animation looks terrible.. but good for the fans that it gets another installment. Where has KyoAni gone in the last 13 years and we get a sequel adaptation from another studio trying to match theirs in 2018? I am only gonna watch this for Chidori if I do end up watching. The art, the animation, the CGI all reminded me of the first season which wasn't made by KyoAni. Although they kept the character designs from TSR which is a plus. Who cares? it's freaking Full Metal Panic. I've watched it like 5 years ago but there are a lot of fan who've been waiting since 2005. Between any chance that mikuni shimokawa does the opening ? Ah man, new FMP is almost here. PV looks great. Fridays 20:30 (8:30 p.m.) via AT-X, followed by Tokyo MX, Sun TV, and BS11 starting April 13. AbemaTV will also make anime available online. First ep. pre-screening event on April 1 and 7 (w. English dub for 7th). There will also be talk show and live as there are quite a few guests appearing. No more English dub w. Japanese sub pre-screening event on 7th.